I'll be honest and say I never use "whom" in my writing or speech. That's because I never knew what the difference was between "who" and "whom." 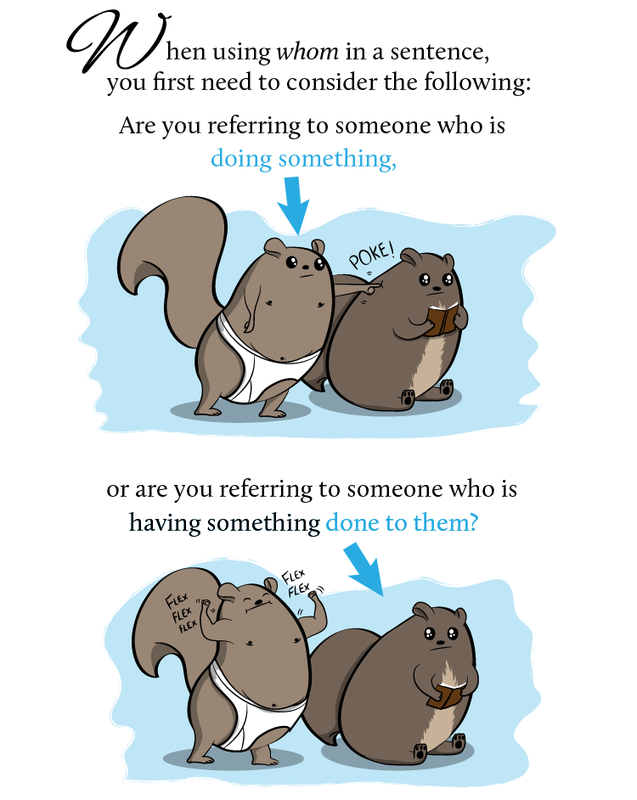 The Oatmeal created these handy comics to explain the difference with its usual twisted humor. 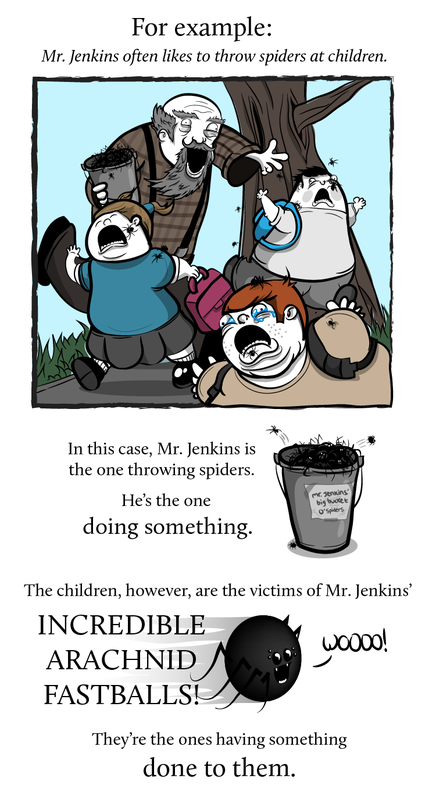 Read the rest of the twisted but educational cartoons on this topic at The Oatmeal.